As Kenya won the 2012 East African Youth Athletics Championships over the weekend, the Semenya phobia gripped athletics fans at Namboole when a Kenyan 800m gold winner was mistaken for a male. The muscled and flat-chested Sheila Chepngetich led from the start of the two-lap race to finish in a time of 2:07:14. Because of her style of running, some fans started expressing doubt on whether she was really a girl. “He is a boy. We have seen and confirmed. Our runners know her”, claimed one panicky volunteer at Namboole. However, those claims were ignored as they were never made official. Namboole workers were in another corner in a heated argument about the runner. Nalis Bigingo, one of the technical officials in UAF, when contacted said they cannot act on rumours. “Let the doubters file an official complaint and the athlete can be taken for testing,” he said. 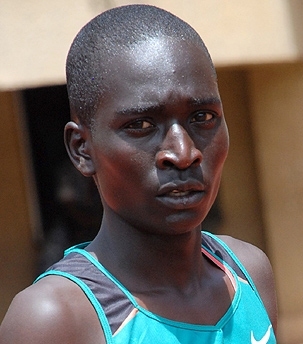 Chepngetich is a Form One student at Ritura Central Secondary School in Nairobi. But Kenya team coach and leader of delegation Japhet Kemey rubbished the allegations saying it is natural for some female athletes to have masculine morphology. “There is nothing strange. Some lady athletes are like men especially with gym work and training. This is not her first time to be on the team. She represented Kenya in the same event in Eritrea last year and won silver in the 1500m. She was in the World Championships in France and finished sixth in the same race,” he noted. He said Chepngetich is a Form One student at Ritura Central Secondary School in Nairobi. He called on all those in doubt to follow her up. In August 2009, South African athlete Caster Semenya was mistaken for a male when she won gold at the World Championships in Berlin in a world record of 1:55.45. Her win sent experts and competitors in doubt over her femininity. She was withdrawn from international competitions until July 6, 2010, when the IAAF cleared her.